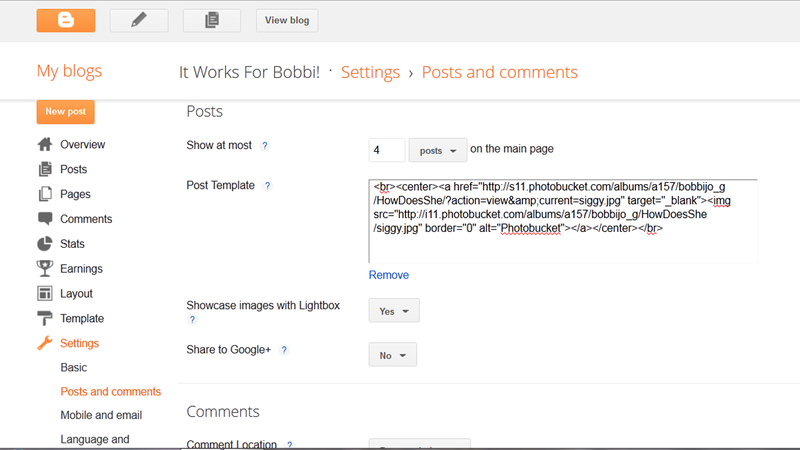 Tutorial – Adding a Signature To Your Posts – It Works For Bobbi! 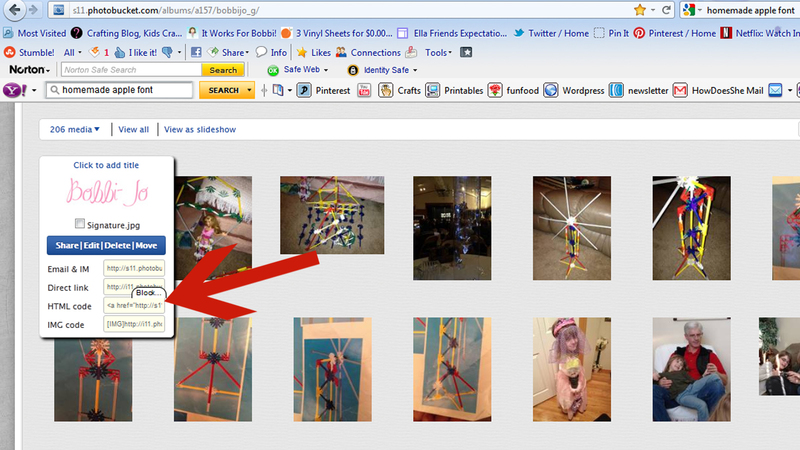 Published on January 23, 2012 August 9, 2016 by Bobbi-Jo G.
I had a fab reader and friend, Talia, ask about how to add a signature to the bottom of your posts. The answer is, you need to add the signature image to your post template so that it appears on every post. I am going to walk you through the steps to adding YOUR signature to your posts. It’s very simple and it adds that nice personal touch to your posts. 1. First, you need to create your signature. This is how I did it. I opened Photoshop and clicked on “File>New” to create a new canvas to work on. I entered the following numbers into the fields. 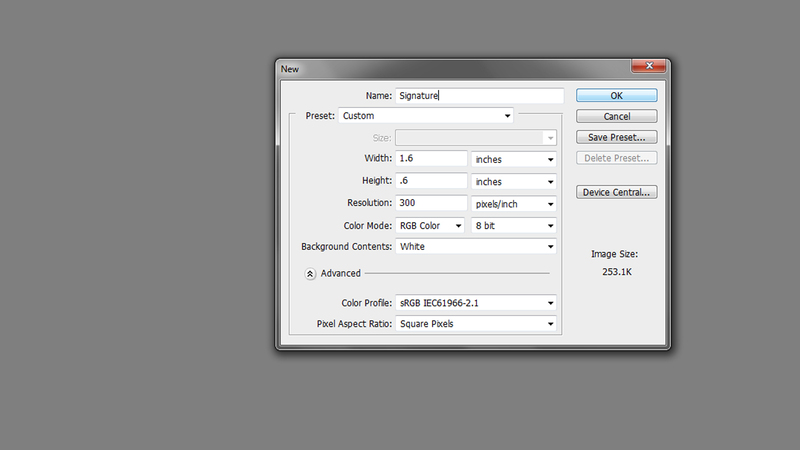 I always like to start out with a 300 ppi resolution, then resize to 72ppi afterward. So, just start out with these numbers and click “OK”. 2. Select the TYPE tool (T) from your tools palette, choose a font and a color and then create your signature by typing your name. I like choosing a fun, handwritten type font. 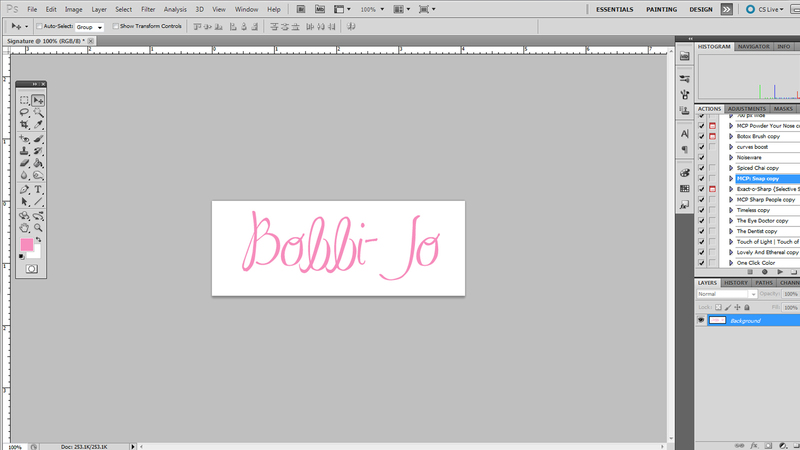 IF you have your own handwritten signature scanned or on your computer as an image, just open that up as an image in photoshop and skip this step of creating one. 4. Now that you have created and saved your “signature”, you will want to upload it to a photo hosting website like Photobucket. Just click the green “upload” button at the top of the screen and in seconds, your image will appear. 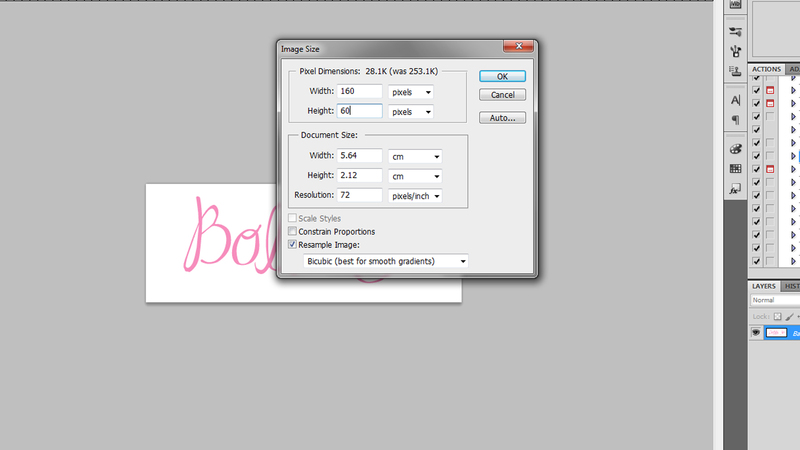 If you hover your mouse over your signature image, you will see some different code options appear. You will want to copy the “HTML Code”. Usually clicking once on the code box will automatically copy this code. 6. I added the code in the red brackets to center my signature on my posts. You can omit this code if you don’t want your signature centered. 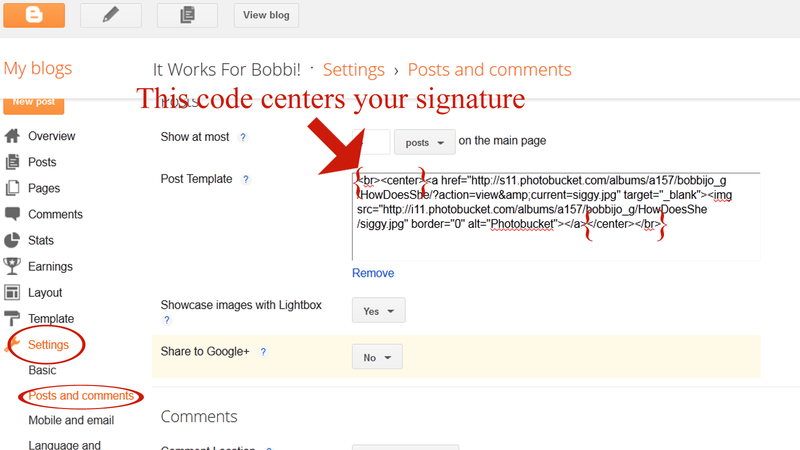 Okay, so now…when you open your Blog to start writing a new post, you should automatically see your signature there! 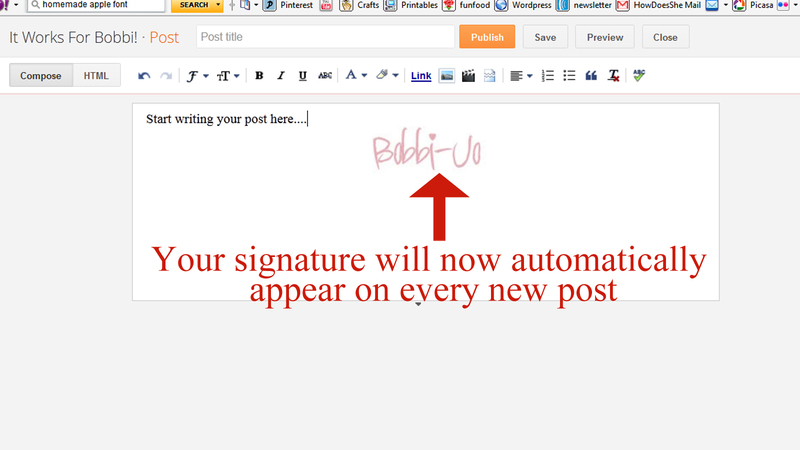 Simply write your post above the signature as always, leaving the signature to appear at the end of your post. I hope it’s what you were looking for! 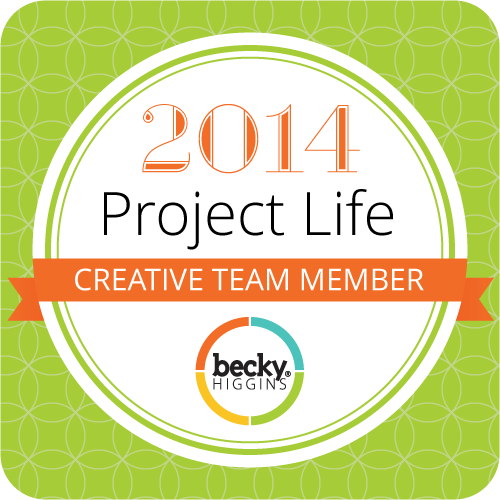 I’d love to have you link to your blogs so I can see YOUR signatures! Thank you SOOOO MUCH, Bobbi! Yes, it was super easy…I was on the right track, but your way is much simpler than the tutorial I had found. Thank you!! This was so super helpful. I have always wondered about how to do that–but just hadn't gotten around to figuring it out yet. Thanks for sharing your expertise! Thank you! This was a great tutorial! I just posted about it on my blog.